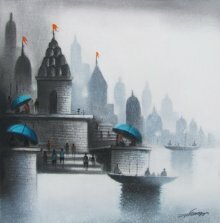 Somnath has his own way of showing his creations. 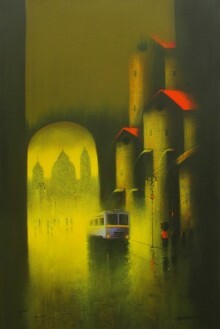 His color schemes are modern and flashy but this is intentional, to remind us of the importance of historical places. 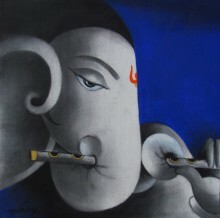 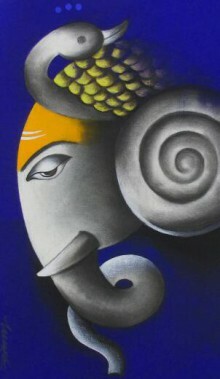 Now painting is not just a technique, it has become a medium of expression for him. 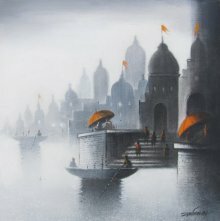 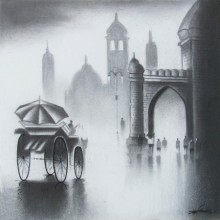 Somnath Bothe born in 1982 in a small village called Paithan, District - Aurangabad, Maharashtra & working in a city (Pune, Maharashtra) as an artist of tremendous talent. 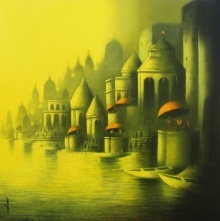 He obtained Diploma in Art from Mumbai University (Abhinav Kala Mahavidyalaya, Pune). 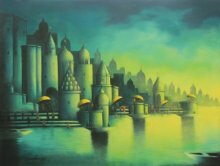 He has received Gold Medal, Royal Academy, National Level, Gulbarga, Karnataka; Gold Medal, National College Student “Varnika Manav Sanket”, Ujjain & Silver Medal, National College Student “Kalawart Nyas”, Ujjain also. 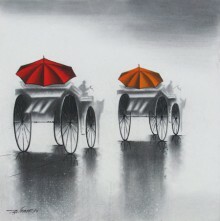 His journey in art field began with landscapes and portraits. 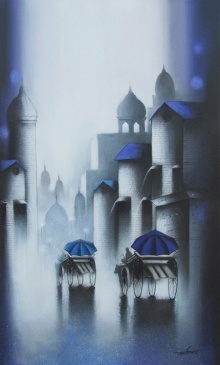 He started thinking about sensitivity and intent of the paintings… As his entire childhood was spending in village, a very close relationship with the village. 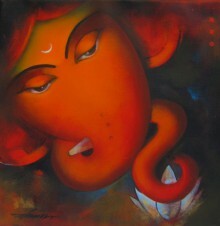 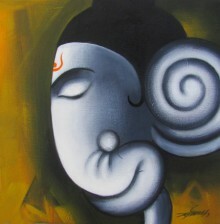 “A deep rooted respect for ‘nature’ and ‘humility’ is the inspiration for my paintings”, says Somnath. 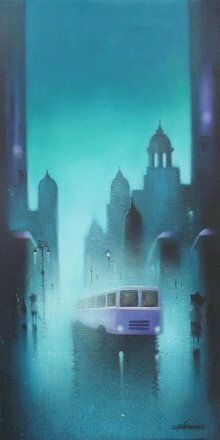 Then education and living in city life created new sensitivities and understandings… the blend of these different environments and cultures indirectly flowed in his painting… His paintings are colorful, vibrant, nostalgic at times, and sheer conversational pieces. 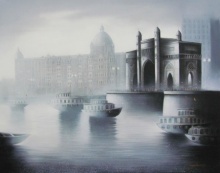 Subdued and quiet by nature paintings is his language. 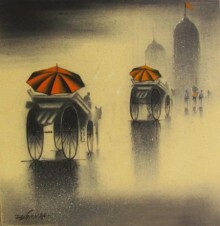 Somnath has his own way of showing his creations. 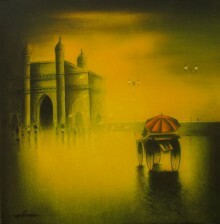 His color schemes are modern and flashy but this is intentional, to remind us of the importance of historical places. 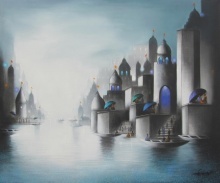 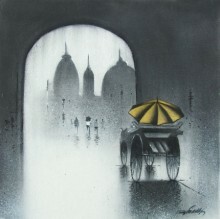 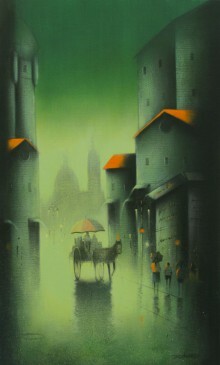 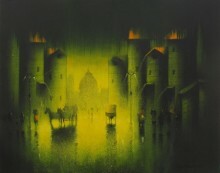 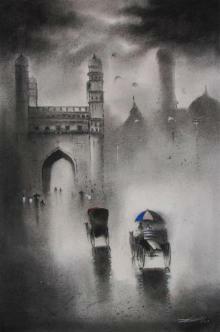 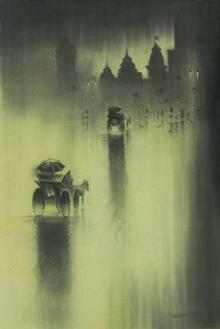 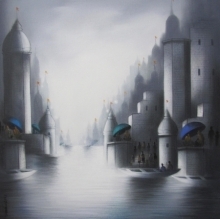 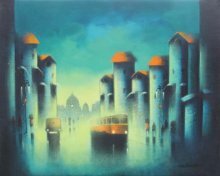 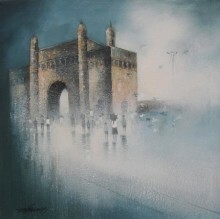 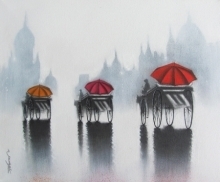 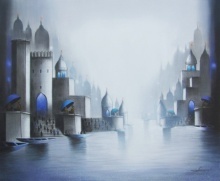 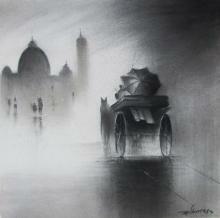 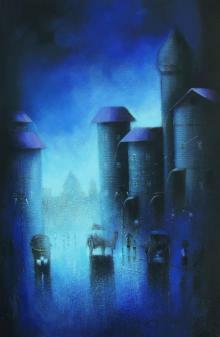 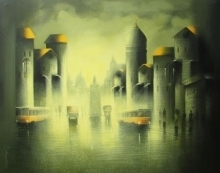 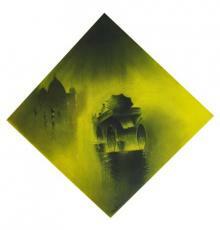 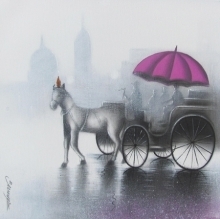 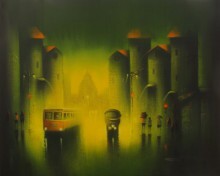 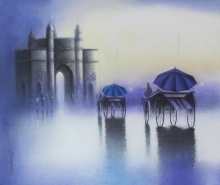 The fusion of rainy season and historical places in cities and villages constitute the subjects of his paintings. 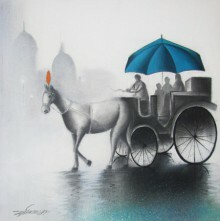 Now painting is not just a technique, it has become a medium of expression for him.